If I still lived in Orlando that would be another thing. 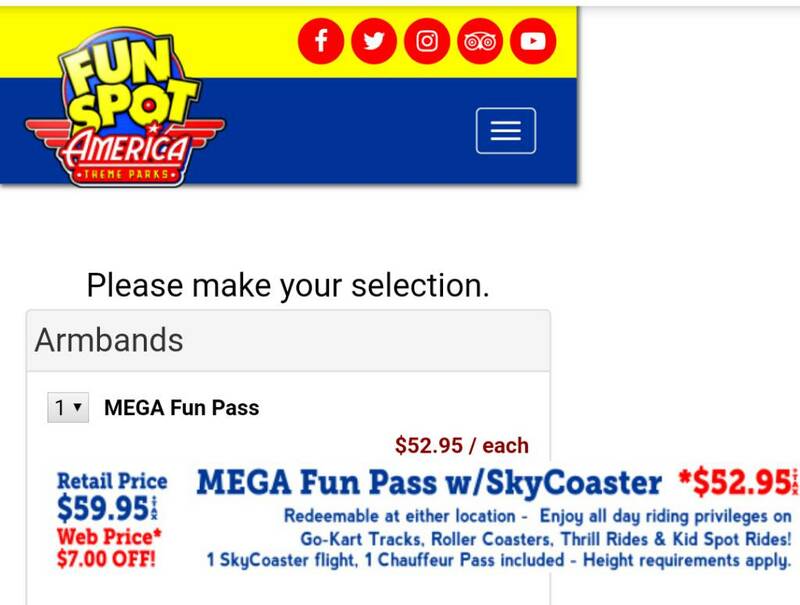 I'm buying season passes for my daughter and I. We will be visiting all three locations next month. I'm hoping those cool go-kart tracks will rekindle my love of go-karts the way Kings Dominion did for roller coasters in 2017. I figure with them being open until midnight and the fact that we will be in the Tampa/Orlando area for 3-4 days, we will get our money's worth. I live over 1000 miles away and I feel I got my money's worth last year. With the difference between a day pass and a season pass being minimal, it made a ton of sense. It was the perfect way to end the day when SeaWorld closed early. Made my first visit today since Mine Blower was installed. My opinions on the ride are favorable but at the same time a bit mixed. I have to start by saying that this is a legit coaster. If you want to visit all the real coasters in Central Florida, you're going to have to visit both Fun Spots. This this is a real coaster, but it is an intense beast! From the moment it absolutely whips you over that first drop it is a relentless assault. It's a little bit too much of an assault for it to land among my favorites like white Lightning did. This is my first "next-generation" style woodie and I'm a bit more of a traditionalist. The super overbanked turns weren't really my cup of tea. The ride also tracked surprisingly poorly for a relatively new wooden coaster. But on the plus side, this one was filled with little blips of ejector air, and it's quite a marvel that they were able to fit such a beautifully intense and complete-feeling ride in a footprint that seems scarcely bigger than a wild mouse. Truly a marvel in that regard.